Microsoft state that Microsoft Exchange Server 2016 ‘brings a new set of technologies, features, and services to Exchange Server.’ Its goal is to support people and organizations as their work habits evolve from a communication focus to a collaboration focus. Easier document collaboration for SharePoint and OneDrive. New cloud-focused architecture- improver performance. Better reliability with faster failovers. 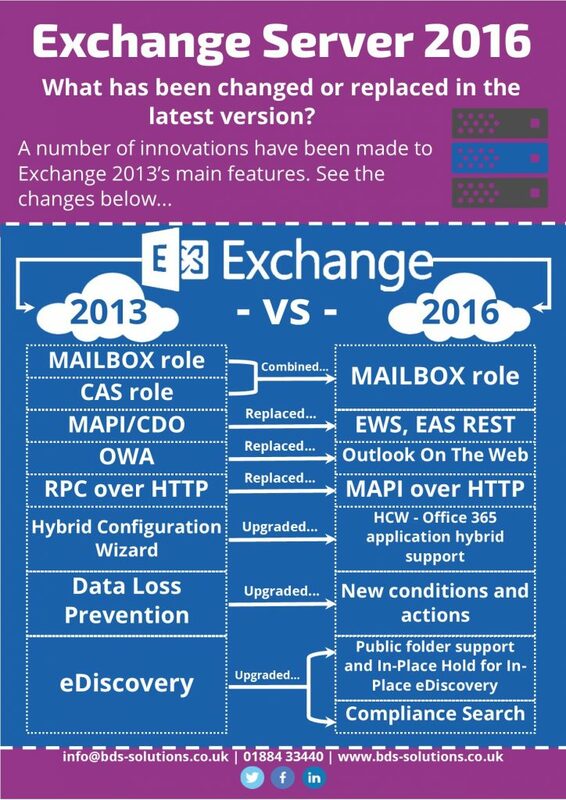 See more in our infographic to learn about the many other innovations to Exchange 2013’s main features. Some have been replaced, improved and even removed! Have you noticed your group policies have stopped working? On the 14th June Microsoft released KB3159398, this update was produced to close a potential Man in The Middle (MiTM) vulnerability. To achieve this update Microsoft has changed the approach to Group Policy permissions they have adopted for the last 16 years. Where we have restricted a GPO to only certain users and removed the default “authenticated users” permission from the security filtering section, replacing it with our own user or group, application of the GPO will fail. When “Authenticated Users” are removed from the security filtering section, the implied read permission is also removed, which means we will be unable to evaluate the policy generating an error. Fortunately, fixing our GPO’s is simple. Simply edit the policy and update the security permissions for the GPO while in edit mode, here we can simply grant Authenticated Users read permissions again. Only users with the Apply Group Policy permission will have the policy applied. For assistance with this issue or any other Group Policy concerns contact BDS Solutions for more information. BDS Solutions were engaged to upgrade a legacy Microsoft System Center Configuration Manager (SCCM) 2007 server for Barts Health NHS Trust (Barts) to the latest SCCM 2012 R2 version, a Windows product that enables administrators to manage the deployment and security of devices and applications across an organisation. Since Exchange 2013, Microsoft has built in functionality for Exchange to monitor, and in some cases heal, itself. This functionality it calls “Managed Availability”. The upside of this is that Management packs will no longer be developed for Microsoft Exchange in System Centre operations Manager (SCOM). 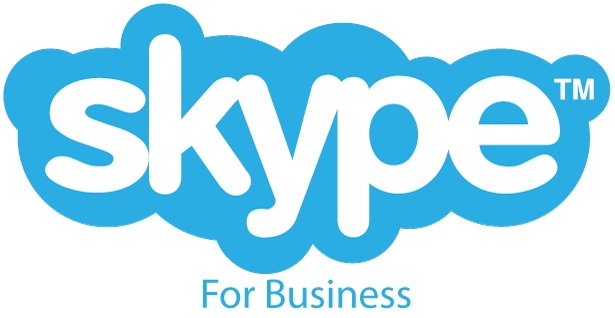 As of June 2016, Cumulative update, you cannot rely on Microsoft (Windows) Update to install updates for your Skype for Business 2015 Server. Updates are now applied using an update utility, initiated by the administrator called ‘SkypeServerUpdateInstaller.exe’. This should be downloaded and executed from the following KB link, under the ‘Installation Methods’ heading, and will take care of the process for you, including troublesome database updates that had to be installed separately and manually in previous rollup packs. While Windows 7 remains the prominent Operating System in use within the NHS, it was starting to feel somewhat neglected by Microsoft. Since its release in 2009 Microsoft have obviously provided full support and reliably produced any required updates, however, there had been no Service Pack since 2011.